TianLock WP – Emoji Magazine Membership WordPress Theme, whether you’re a blogger or a company, TianLock WP is a tremendously intuitive, suited to be deployed for a number of different websites and projects of all kinds, but peculiarly well suited for news / traveling / personal websites, sharing your trending stories. Monetization options such as a good selection of advert locations are important too that’s why we’ve made use of the best location adding Highest-Earning Ad Sizes, after all, you do want to get paid for your efforts! And because you do want to get paid, we’ve made the theme compatible with Restrict Content Pro plugin, a great plugin that will transform your site into a powerful paid content site. Insane Product Created by ThemeForest Elite Author. Social Login (Facebook / Google+ / Twitter). Translation Ready .POT file included. Membership sites are a stellar way to increase revenue and improve client engagement over the long-term, but setting one up can seem overwhelming and time consuming. However, TianLock with the plugin Restrict Content Pro make the process a breeze, and offer you almost all of the features you need to get started. And, obviously, all default widgets too, that are nicely styled, “TianLock” theme give you the opportunity to use all Widgets, the way you want. 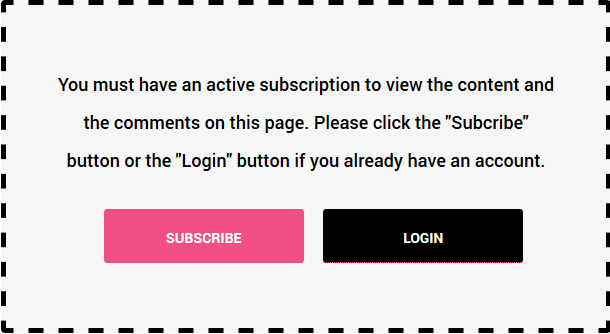 Memberships are a great way to make a living from your website, and if you want to sell product or service packages on your website or in this case to sell Premium content or or to give them the possibility to access some pages in order to use the submission form, you’ll want to integrate your own membership platform. Restrict Content Pro comes with full support for plans with lots of customization options so you can edit the price, duration, access level and more. TianLock WordPress Theme works perfectly with the Restrict Content Pro plugin, a great plugin that will transform your site into a powerful paid content site. *Note that the theme doesn’t come bundled with this plugin. This is an optional paid plugin that extend the site functionality. Accept credit cards with Stripe, Braintree, 2Checkout, or PayPal Website Payments Pro. Restrict Content Pro also supports PayPal Standard and Express, as well as multiple payment options at the same time. Reports. Elegant and easy-to-use reports to show you exactly how well your membership site is performing. Easily see the current month’s performance, or any other time period. Unlimited Subscription Packages. Create an unlimited number of subscription packages. You can easily create free, trial, and premium subscriptions. Members Management. Easily view all active, pending, expired, cancelled, and free users. Member Emails. Send welcome emails to new members, email payment receipts, and remind members before their account expires automatically.